As end of summer is on the horizon, many of us are moving back to the city or transitioning our homes to prepare for the end of the season. Updating or changing homes can be challenging without the right help. Christina Bryant would know. The founder and CEO of St. Frank is a home and decor expert. She travels the world curating the most beautiful homewares all while running her business and managing several storefronts, including a gorgeous seasonal pop-up in East Hampton. Constantly thinking about how to bring worldly chic to her customers, Christina has developed a unique understanding for how to make adjustments to homes and spaces that can make all the difference. When updating your residence, sometimes it’s not only design that you will need to consider; for example, if you are renovating or changing your home, you will need to remove your furniture in the process. And you will want to be sure that those new home decor purchases and fall wardrobe essentials will arrive in the same perfect condition when you move back home. Finding the right moving company to take you from your summer home back to New York can be tricky. Luckily, FlatRate’s Elite white glove service has just the solution for you with its specially trained teams for moving delicate items into unique spaces. If you have a home full of rare and fragile treasures or you’re simply moving into a space that requires extra care, FlatRate’s Elite service is a perfect match. The company was founded in New York and has been moving clients to and from the Hamptons for decades. Residents of Manhattan and the Hamptons can relate to wanting to differentiate their summer home style and their city abodes. If you’re looking to elevate your home with a new trend, Christina suggests maximalism via exciting wallpapers. “The return to maximalism in interiors! While I can appreciate the simplicity of a minimalist aesthetic, I miss the warmth that a more layered look brings. At St. Frank, we’re all about combining color and pattern in unexpected ways, so this is right up our ally. Bring on the wallpaper!” says Christina. “I think the real opportunity of a second home is to explore a different side of your style and embrace a sense of place. For example, the city home is a place to show off a more polished and sophisticated aesthetic, where a summer home is more about elements that exude relaxation and casual living,” Christina advises. FlatRate’s Lora Goldberg, who works on the company’s digital marketing team while completing a graduate degree at Columbia, shed light on some of the ways that the company’s luxury moving service makes moving relaxing and stress-free. 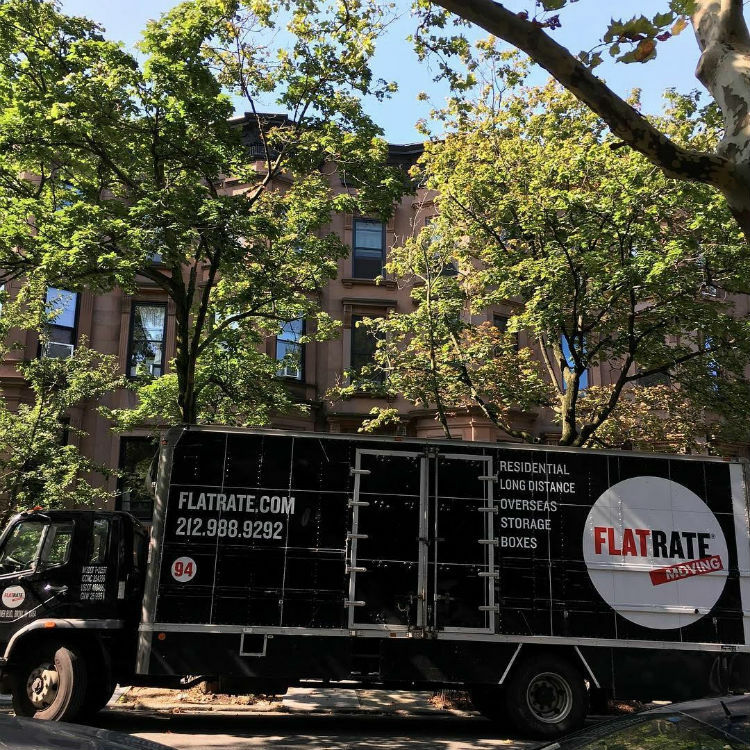 “As the top New York movers, we at FlatRate are familiar with the noise of the big city so our moving process is designed to be as quiet as possible. This way, your move back from the Hamptons can feel just as relaxing as your summer vacation. Our movers use special no noise tape and headsets so you can enjoy your move without the harsh screeching sound of packing tape in your home,” Lora explained. The detail-oriented service also uses special materials such as clear boxes for your shoes. “When I move I want to be able to see what’s inside my boxes, that way I can easily find my favorite pair of flats or heels, I can track everything and can easily set up my new closet,” says Lora. The movers are expertly trained in and are ready to protect your most precious pieces of furniture or artwork in secure custom crates. Their white glove service only has the highest quality blankets, double layer boxes and even custom wood crating as well as scanned photo inventory of your items to track your belongings and ensure they arrive safely. Between Christina’s endless style and grace and FlatRate’s luxury moving expertise, transitioning your home or moving precious items can be a total breeze. So you can shop till your heart's content knowing all your treasures will make it home in one piece. 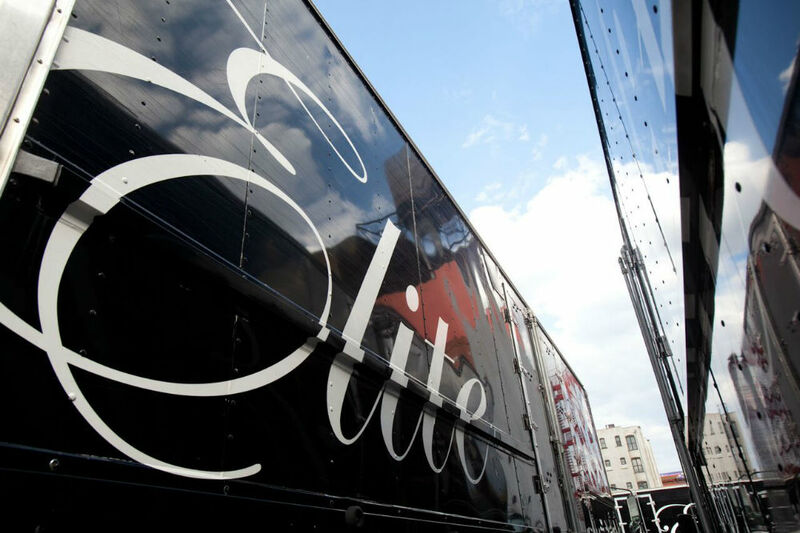 Learn more about FlatRate Moving's Elite service at flatrate.com.